Merging new BAS and IP technology can equip news crews with valuable new production workflows, much like those enjoyed in the studio. It is time to implement IP based bidirectional and multi-user radio systems in the licensed BAS band channels. The resulting improvements in data rates and new technology can enable workflows in the field much like those enjoyed in the studio. However, careful management of data rates, traffic priorities and security are required to ensure high quality signals are delivered back to the studio. Even with the latest IT technology and new radio systems, a high-quality link requires careful planning. A new IP-based ENG workflow will typically consist of numerous IP radio links, backhauls of various technologies, network edge devices, and a control system. Instead of users and IT engineers being exposed on a daily basis to the complexities of the system, it should present itself with a simple abstraction. Figure 1. Traditional ENG network. The simplest operating model for users is one where the edge devices and control server combine to form a virtual layer 2 switch device. Network packets are picked up at the edges of the ENG network, and then tunneled through the network to appear at the correct port on other edge devices to be forwarded to the destination. The entire network can be modeled as a managed layer 2 switch, with obvious speed limitations. Figure 2. Similar ENG network as shown above, but this time as a Layer 2 bridged IT network. A layer 2 bridged approach requires more processing power from the ENG edge devices, and has a small additional overhead at the radio layer, but provides the simplest and most flexible IT deployment. Because the L2 tunnel cannot exist before the radios are connected to the network, care must be taken to ensure that field assets are not entirely dependent on assets inside the studio for operation. 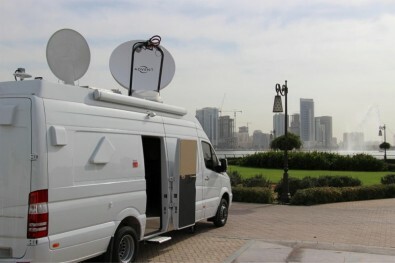 For example, DHCP address configuration of a laptop in a van would not work without the link, and that would prevent the laptop from connecting to other devices in the van before the microwave link is connected. 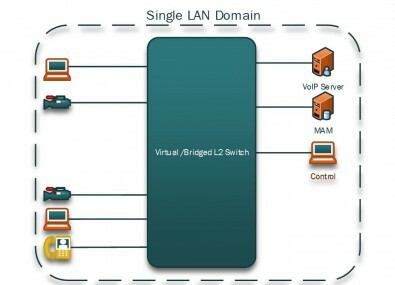 The layer 2 bridge approach can also support VLAN segmentation. LANs that are distinct in the studio can be kept separate from connection to devices in the field. VoIP phones in ENG vans, for example, can be kept on a separate VLAN from general house networks, or video asset LANs. Another basic network topology would be to create separate LANs in each vehicle, and route the traffic through the ENG network using standard L3 routing protocols (OSPF, RIP, etc. ), or simple static routes. Figure 3. The above ENG configuration connects multiple sites through individual routers and a Layer 3 network. This design reduces the computing loads on the edge devices, though they will now have to act as simple routers. This is an easy task for modern Linux-based embedded systems. 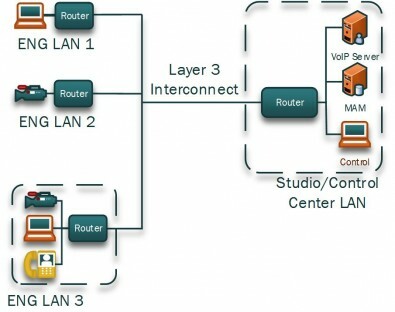 The routed approach is generally less convenient from an IT perspective, particularly when multiple in-studio LANs need to be connected to the field. Each network will need independent routing configurations and each field asset must be managed as a separate LAN. Radio throughput will be slightly better utilized than with a layer 2 tunnel, and it is easier to apply conventional network security techniques, like firewalls, to this configuration. Now that we have created a bidirectional IP radio network with numerous users and devices, we need to make sure the system still executes its primary mission of gathering news. The bandwidth of the radio links, and sometimes the backhauls, are high but finite. They can even be considered limited in today’s HD video and multi-gigabyte file-based environments. Not every device fielded will provide the tags. The source device’s idea of appropriate priority may not match the current needs of the studio. Two different devices of the same type will typically apply the same tag, but there may not be enough bandwidth for both to get through. Several additional factors need to be applied to ensure that during network congestion at any link, the correct data will be delivered at the correct time. If, for example, five live video streams of 8 Mbps are coming in from video clients on the same sector radio, whose channel conditions limit it to 20 Mbps, there is a significant over-subscription of the channel, and something needs to change. The operators in the studio control room and/or automated systems running the broadcast have knowledge about which of those streams require priority, and this information should be used to adjust the streams and network priorities to guarantee glitch-free video. If two file packages are being sent simultaneously, the one that needs to be on-air in ten minutes should take priority over the one for a broadcast tomorrow. The bandwidth management system can look at the radio states for the ENG radio links, and any potential backhaul bottlenecks, and utilize this information to control bandwidth assignments and priorities throughout the system. Consideration should be given to potential and historical fluctuations in the channel conditions. This simplified signal flow block diagram illustrates how two-way studio workflows can be pushed out to news crews when BAS radios are combined with IP technology. Combining the user input and the current state of the network links gives the management system the inputs it needs to adjust the rates of the different traffic types. For video data from an integrated encoder, it is as simple as setting the bitrate. To support external devices, ingress rate-limiting of the network edge devices is used to allow only a certain amount of data through. If the external device to be supported is a video encoder, it needs to either accept external rate-setting commands, or be able to adapt to the size of the channel it finds, as is done in current bonded cellular products. Finally, the network edge devices need some way to figure out what various external data streams exist so that it can apply the rate limits set for it by the management system. A number of different characteristics can be used to make these decisions. Destination IP address, e.g. a bank of decoders or a MAM. Source or Destination MAC addresses, e.g. all the cellular backpacks in inventory. VLAN tags, for partitioned networks. Existing priority and stream type tags, for equipment that provides it, like VoIP systems. Lack of any of the above, for consideration as low priority bulk data. After the management system and the edge devices have combined to set and limit the rates of all the data streams passing through a given link, there should be no data lost within the network. However, in the real world, especially with radio links, the bandwidth may fluctuate. It is therefore a good idea to back up all the bandwidth management with traditional QoS techniques. Applying tags allows packet-by-packet decisions to be made in each device. The bandwidth management algorithms operate on a high level and with a slower response time. It is critical that the bandwidth management system be aware of and manage the data flows from all the possible sources through each network bottleneck. Simply trying to balance the loads at the radio links will result in resource conflicts. Being context-aware of user operation is essential to ensuring essential data for news operations is passing through the radio links, even if non-essential traffic has to be dropped. A high-speed IP network extended from the studio into the field opens multiple opportunities to improve and extend existing workflows. Obviously, file-based workflows, with stories being edited in the field, are greatly benefited by a low-cost and high-speed connection to existing studio assets (media storage, renderers, etc.). Other portions of existing workflows can be extended into the field as well via bidirectional IP. IFB Audio: With the low latency of the data link(s), in-studio IP-based IFB systems can be easily extended back to the ENG vehicle. Return Video: Confidence monitoring, on-air feeds, and remote interviewing are all possibilities. Because data bottlenecks are possible this direction as well, the return video bitrates should be under control of the management system just like the uplink. Bonded Cellular System: Existing data bonding solutions can utilize almost any channel to return their streams, including an IP ENG network. This can reduce the operating cost of the system by shifting the data from a public network to a private one. Integrated Encoder ENG Cameras: ENG-specific cameras with internal encoders can be integrated into the system and bandwidth managed like any other encoder. Teleprompting: IP–based prompting systems are easily extended. Background Graphics and Weather Data: Background graphics for applications such as remote weather forecasts can be generated directly as computer data, or returned as video. Broadcast-quality return video requires careful management. News crews can produce a better product when provided with two-way access to studio resources. As mentioned previously, one of the key aspects of a successful transition of ENG operations over to BAS-band IP radios is management of the available bandwidth. This must be done to ensure that the information needed to produce the news gets to the right place at the right time. In order for this to happen, the bandwidth management system needs to know what is important in the present, and predictively in the immediate-future. This information can come from a number of different places. Manual Control: A simple and familiar user interface is needed so control room, news personnel and TDs can set current priorities of the system. Even with other integration options deployed, this will always be required. Video Switcher State: The easiest way for the system to determine the current state of the live video stream is via video tally or related interfaces. The program/preview status of each switcher input allows the system to set up each corresponding system output channel. Automation & MOS: In addition to the current video state, further information can be gleaned by tying into newsroom automation systems, typically via the MOS protocol. This enables live feeds to have the bandwidth pre-allocated from their position in the rundown, or file transfers tied to story package to be prioritized. Story metadata can be easily presented in the user interface, assisting operators in making priority decisions when using manual control. File Transfer Systems and MAMs: Tying into existing Media Asset Manager (MAM) and accelerated file transfer systems can help further prioritize file transfers, and separate them from other bulk network data. Physical Access: Vehicles and portable systems can be stolen, or accessed while connected. Local Wireless Hacking: Wi-Fi access points are common and convenient in both vehicular and portable applications, and allow potential attackers unseen access to the system. Radio Link Access: The radio link itself can be attacked with the right equipment and knowledge. A proprietary technology is more secure, but not invulnerable. Several state-of-the-art security techniques should be utilized in both the ENG radio network and the IT infrastructure interfacing to it. Single-Sign-On (SSO) Integration: Where feasible, access to the ENG network facilities can be controlled with the same user credentials as the rest of the station’s IT systems. Various protocols exist for this, LDAP, RADIUS, etc. The fewer passwords to remember, the less likely one ends up on a sticky note inside an ENG truck. End-to-End Encryption: To protect against attacks to the radio link itself, encryption should be employed for all on-air user data. Additionally, backhaul vulnerabilities can be shielded by using end-to-end encryption from the edge device to the network server, instead of, or in addition to, air interface encryption. Particularly important assets could be firewalled off or only accessible via a VPN, using systems that sit on top of or outside the ENG network. Wi-Fi Security: Any Wi-Fi access point deployed in the field should utilize WPA2 Enterprise authentication at a minimum. It should be a well-supported device from a reputable vendor, to ensure any discovered vulnerabilities are addressed quickly. 802.1X Port Authentication: When someone unauthorized has gained physical access to the network in the van or portable system, port authentication can prevent them from gaining access to the network by denying them an active network jack. Biometric credentialing for remote network connection: After the remote client has connected to the radio system, credentials should be required to enable the connection to the studio network as painlessly, but securely, as possible. Bringing state-of-the-art radio technology to the BAS band will drastically improve the capability and usability now possible with existing systems. This new approach allows existing studio workflows to be easily extended to the field, which can greatly improve staff efficiency and news coverage. Even so, transparent management of sometimes scarce RF bandwidth combined with careful management of security risks is required. 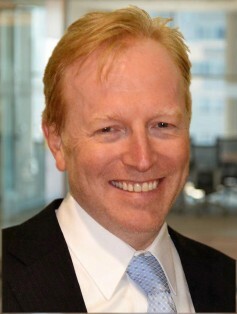 John Payne, President Americas IMT and Vislink.